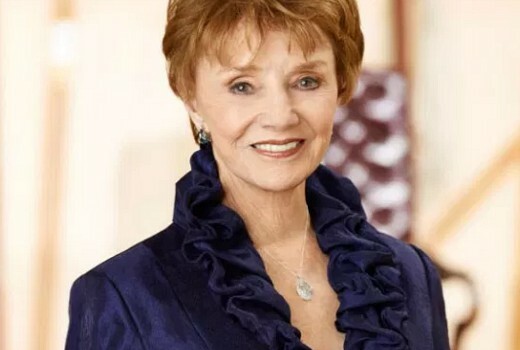 Veteran US actress Peggy McCay, who spent more than 30 years on Days of our Lives, has died, aged 90. She died of natural causes according to co-star Deidre Hall, who plays Marlena Evans. McCay joined Days of Our Lives in 1983 as Brady and made her last appearance in August 2016. She was nominated for outstanding lead actress at the Daytime Emmys in 1986, 1987, 2013, 2015 and 2016. Other TV credits included Maverick, 77 Sunset Strip, Surfside 6, General Hospital Perry Mason, Alfred Hitchcock Presents, Gunsmoke, Barnaby Jones, Archie Bunker’s Place, St. Elsewhere, Cagney & Lacey and Cold Case. Days of our Lives airs in Australia on Arena. Another great loss. I remember you well. Safe journey darling. Thanks for many wonderful years. Rest in Peace.